20 miles to LEGOLAND! That’s what I yelled to Cyclops when we recently went there to celebrate his birthday. Now let me remind you that Cyclops is not a 5 year old boy, so you can imagine my concern at his unrelenting desire to visit this theme park. 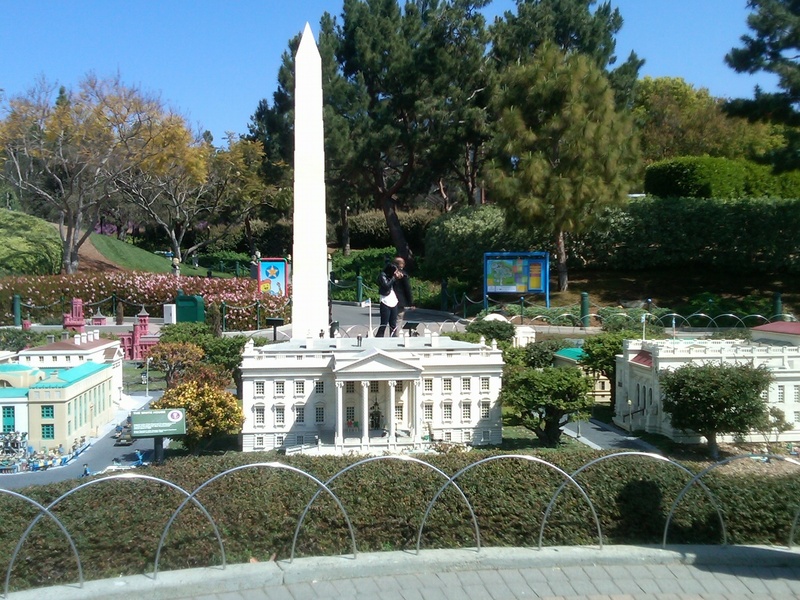 In his mind this Legoland not Disneyland is the happiest place on Earth. I kept telling him that LEGOLAND is not for adults, it’s for kids but he wouldn’t hear it, so finally, I gave in and bought him tickets, and after his squeals of delight and prompt downloading of the LEGOLAND app on his phone (that’s right there’s an app) we planned our trip. During the trip I was sick as a dog so everything is a little hazy but here are a few of my thoughts about the theme park. Rides/Activities: Since this park is designed with children in mind there aren’t a whole lot of rides or activities for adults. The few that exist are very fun but with the growing number of AFOLs in the world, LEGO might want to consider adding a few more adult centric rides to the park. Looks of Confusion: Be prepared for people to look at you sideways for being at a children’s park with no children. View: Since almost everything at LEGOLAND is made out of LEGO bricks there is no shortage of awesome structures to look at and some of the things they built are pretty amazing! 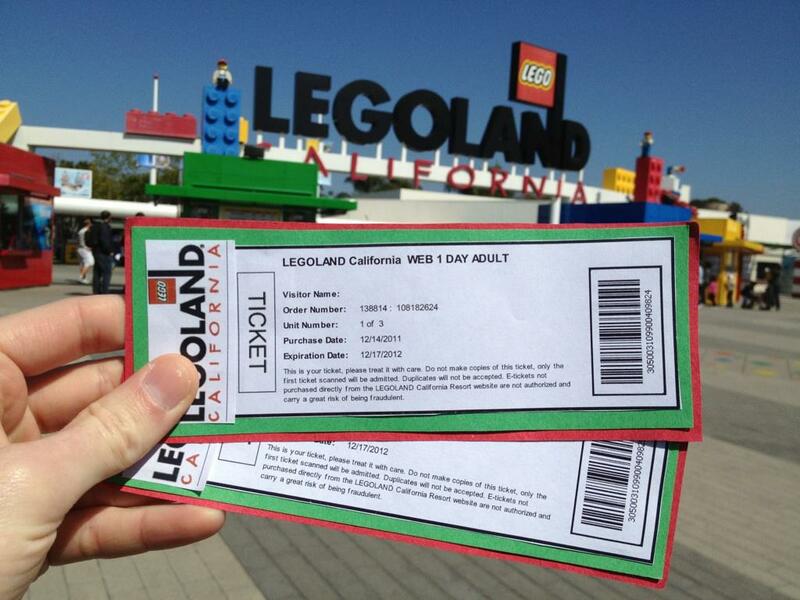 Shopping: I’ll never turn down a good shopping adventure and at LEGOLAND there are shops all around the park. Cyclops did most of the shopping but it was interesting to see all the LEGO paraphernalia that is available. No Strollers: Let me preface this by saying, I hate strollers with a burning passion, and when you go to Disneyland they are everywhere! 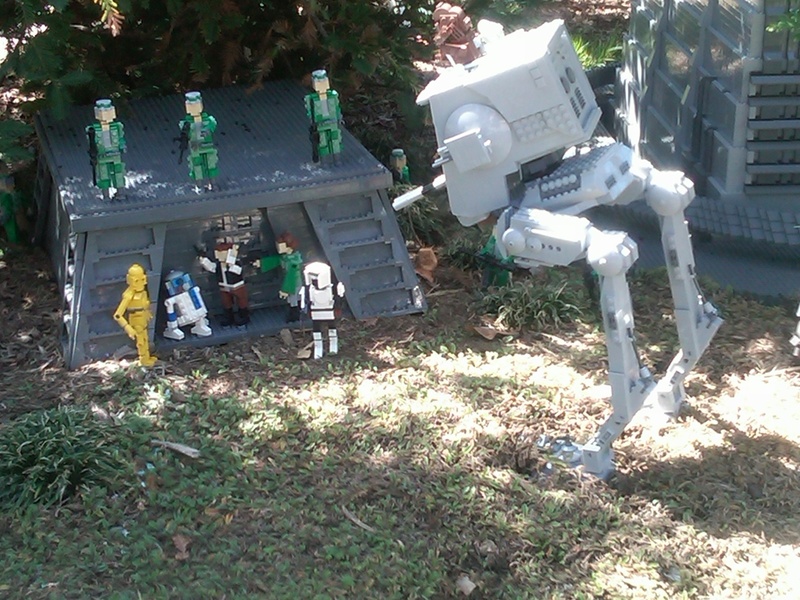 Even though LEGOLAND is for children, most of the kids were old enough to walk on their own. Minitown: By far the coolest part of the park. 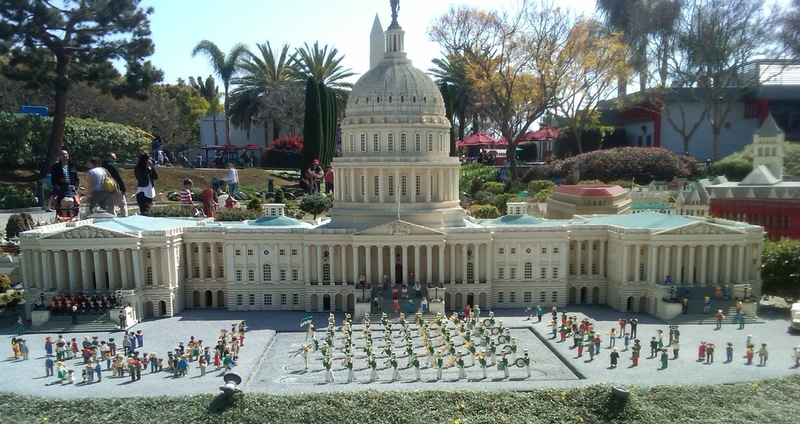 The LEGO engineers have built tiny replicas of American cities including Las Vegas, New York, San Francisco and Washington D.C. Cyclops and I are from the D.C. area and the attention to detail put into the city was amazing! At one point you could even see a motorcade escorting the President down the road. 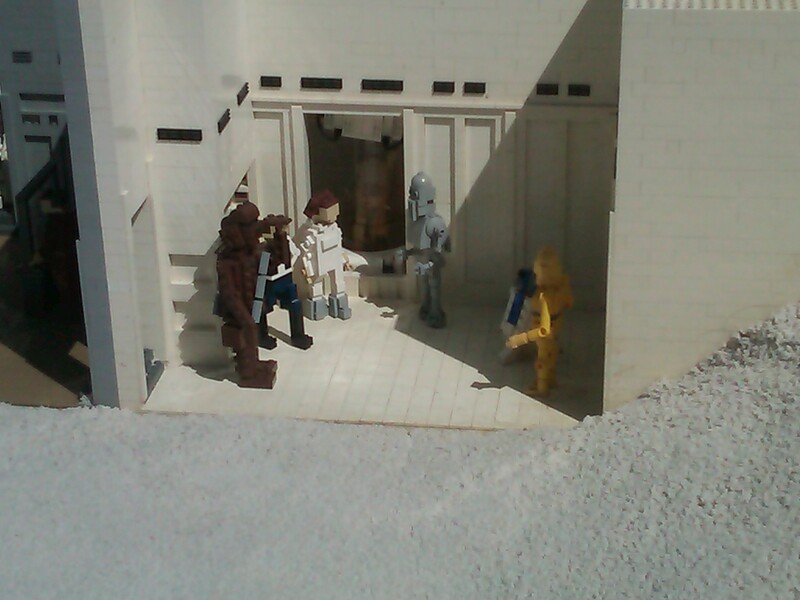 There was also a Star Wars Minitown showing key scenes from the movies. 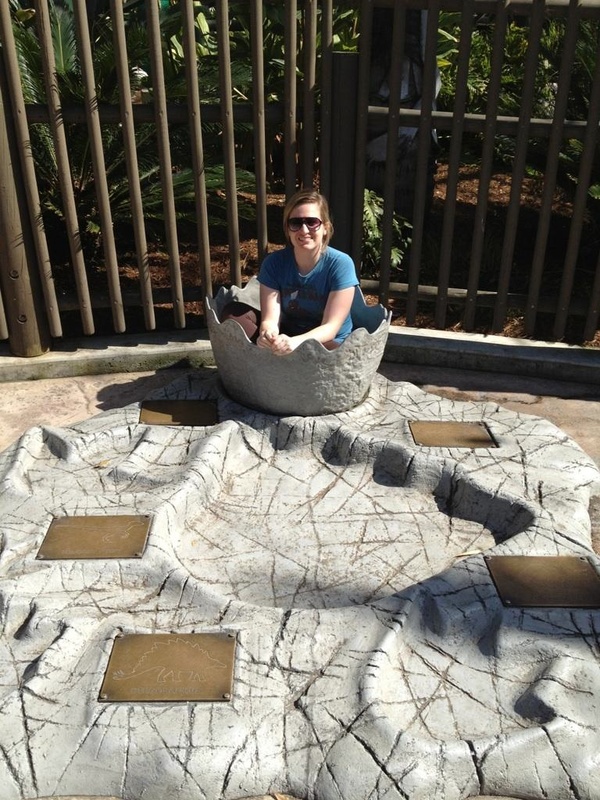 Why is there a dinosaur egg at LEGOLAND? All in all we had a good time at LEGOLAND, as you can tell by my picture in a dinosaur egg found in the park (do you see what I’m wearing, read this). Final thoughts, for anyone that’s dating an AFOL I would definitely recommend taking them to LEGOLAND, but you might want to wait until the summer of 2013 when you can stay in a LEGO hotel! Watch the video below for more details. P.S. I love that the microphone is made out of LEGO and the kid interviews.